There is no other yarn brand more likely to cause a knitter to swoon than this dreamy Uruguayan treasure, malabrigo. Nestled in the hills, malabrigo produces yarn of exquisite softness, in a kaleidoscope of extraordinary hand-dyed color combinations with a passionate eye on the welfare of the environment, its workers and its sheep. If that wasn’t enough to convince you, malabrigo is family owned and the workforce is predominantly women. Once you see the yarn, feel it, knit with it, crochet with it, you will instantly understand why it is such a favourite. The wool used in malabrigo yarn is 100% produced by Uruguayan farms, and it comes from free range sheep who are looked after in herds by traditional shepherds. The welfare of the sheep is of paramount importance, whether malabrigo’s own flock (of Merino and Corriedale sheep who live nearby in Montevideo), or the flocks owned by their partner farms - there is no mulesing practised in Uruguay, and shearing happens before lambing. Other fibers, including baby alpaca from Peru, and Mulberry silk from Italy, are combined with their lusciously soft wool in lines such as Malabrigo Silky Merino, Malabrigo Silkpaca and Malabrigo Dos Tierras. 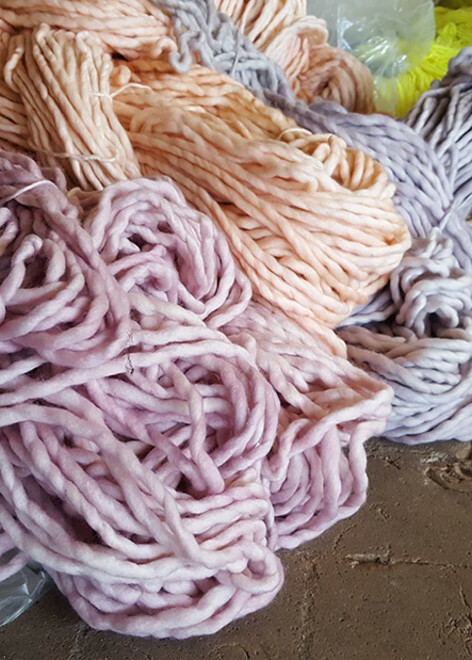 In a world where our energy consumption is vitally important, malabrigo has taken steps to adopt environmentally friendly processes wherever possible. Their water tanks are heated using the power of the sun via a flat-plate thermal heating system, and no prohibited chemicals and dyes are used in any process. Renewable wood pellets have also been a recent innovation to lower the carbon footprint even further. How do you pronounce malabrigo? The name partly comes from a small village in Uruguay, Mal Abrigo, famous for its extremely windy weather, where travellers in days gone by often had to stop to take shelter. It was also inspired by novelists like Garcia Marquez, Juan Carlos Onetti, and William Faulkner, who set their novels in magical, but imaginary towns - so 'malabrigo' became an imaginary town where the weather drove everyone inside to knit, and wear cozy warm sweaters, hats and scarves! All hand dyed yarns vary slightly from skein to skein, even within the same dyelot, so it's important to buy enough yarn for your whole project in one go. To even out any differences, it is good practice to alternate working from two or even three skeins, even for a few rows if needed, and to look at all of the skeins side by side before you start to ensure that they are visually similar.